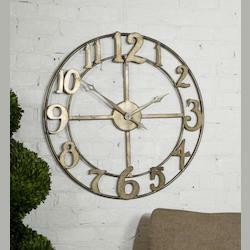 A wall clock is both aesthetically pleasing and very useful. 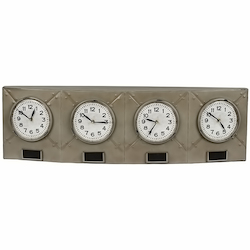 It provides a stunning centerpiece to a dining room, master bedroom, living room or hallway whilst at the same time ensuring that everyone in the house is always right on time. Though it is a very ancient form of clock, and thus steeped in tradition, the wall clock has also been brought right up to date by modern designers. 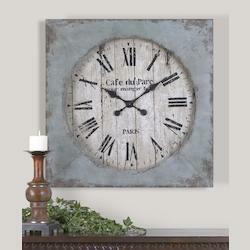 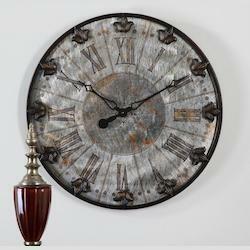 Our fantastic wall clock collection has something to suit everyone's tastes. 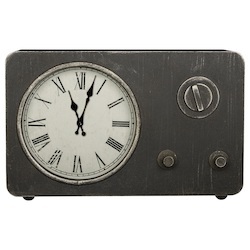 So, whether you are seeking a simple and traditional nautical style brass wall clock or one of our ultra modern wall clocks with futuristic mechanisms, a digital display and a sleek minimalist design, there will be something for you here. 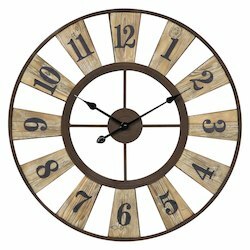 Buy your wall clock online with us and you will have no problem finding something that fits in with the interiors of your home. 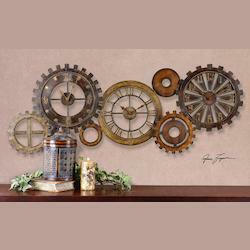 Below, you will find some ideas about which wall clock designs to look out for so that you can choose the perfect product for your home. 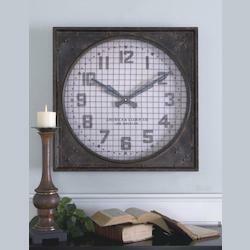 The classic mantel or wall clock was made of wood, brass or even wrought iron. 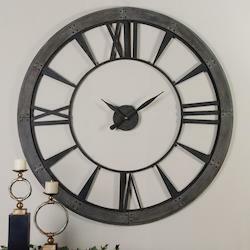 Exploring these materials will enable you to find a wall clock that gives you that authentic rustic look - no matter if you live out in the countryside or in a small apartment. 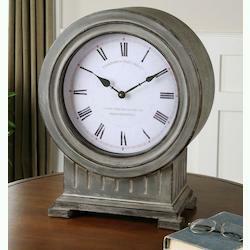 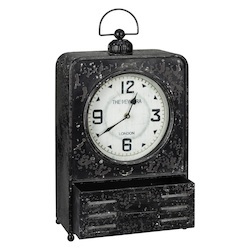 Choose a large rectangular shaped clock with a pendulum for maximum authenticity. 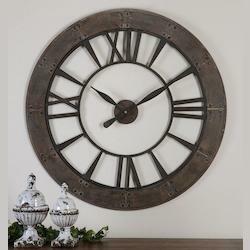 Materials such as wood and wrought iron will give a deep, rich resonance to the sound of your clock as it chimes. 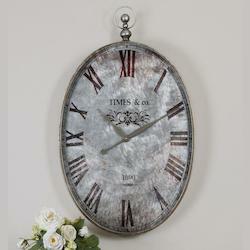 A glass wall clock with musical chimes is a brilliantly decorative touch for any room. 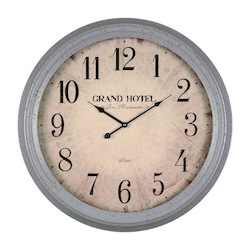 We have options in plenty of unique and enchanting materials and designs, such as pink enamel and shimmering crystal, so that your designer clock will add a touch of magic to your home. 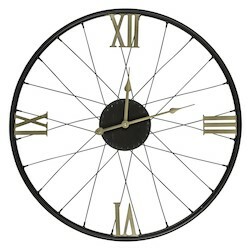 Just remember to be ready to leave the ball by the time that it chimes midnight or your coach will turn into a pumpkin! 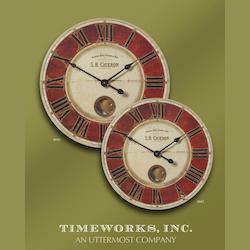 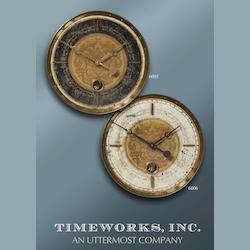 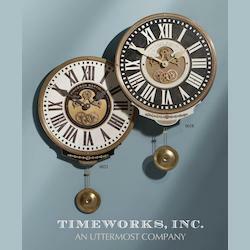 Brass, thick glass and carefully inscribed numerals are all hallmarks of cool nautical wall clocks. 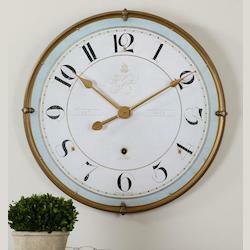 Opt for an oversized brass wall clock with an extra large pendulum for your hallway to get that quirky nautical feel. 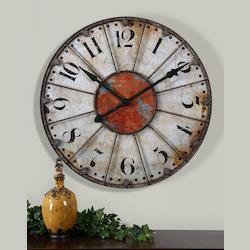 A cute little copper clock with a sunburst design is also a brilliant way to bring some retro style to your bedroom or front room. 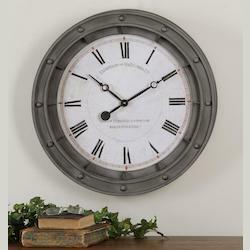 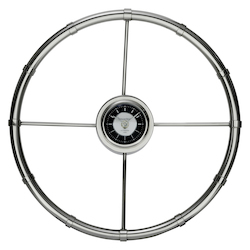 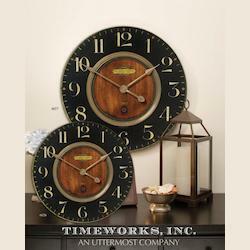 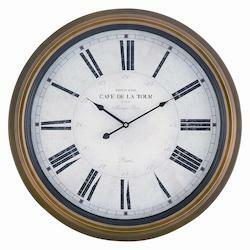 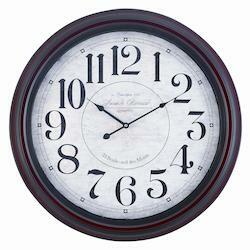 Opting for a clock that has a rounded shape is a great idea if you want to evoke a nautical theme for your interiors. 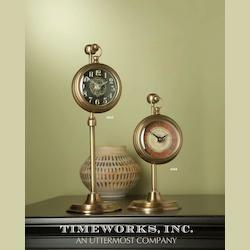 The sound of the chimes when you have a clock made from brass or copper is very unique, and quite beautiful. 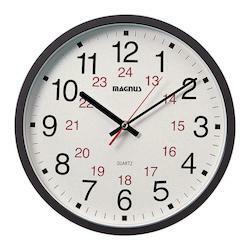 Digital displays, Arabic rather than Roman numerals, electric chimes and geometric designs are all options if you want an LED wall clock that looks more modern. 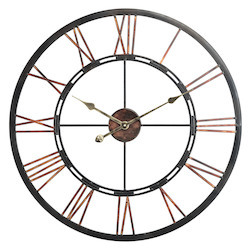 A contemporary wall clock is a fantastic way to add to the decor of a modern home, and if you choose a big wall clock from our designer range, you can display it in pride of place on your wall as a work of art in its own right. 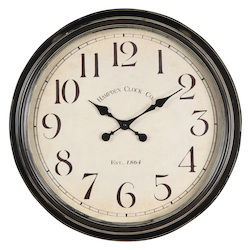 Glow in the dark numerals and minimalist or modernist designs are all cool options when you want a more contemporary look for your wall clock decor. 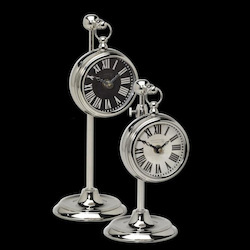 If you want something truly sumptuous, then you will be delighted to hear that we have a brilliant range of extra luxurious wall clocks for sale. 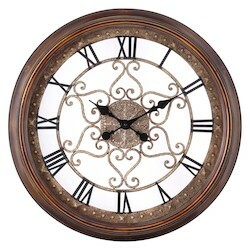 How about an intricately made quartz wall clock in a highly polished gold casing with filigree details, for example? 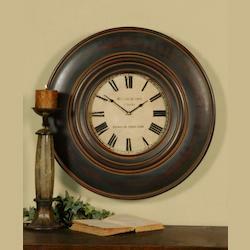 Hanging crystals, fine glass panels, exquisite patterns and etchings and antique style finishes are all ways of ensuring that your decorative wall clock looks as stunning as can be. 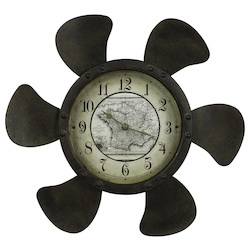 From Swiss Cuckoo clocks to Dali style melting watch faces, the wall clock world has a long history of innovative and unique design. 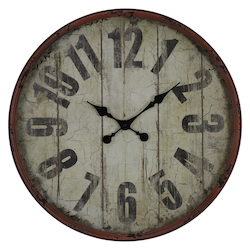 So, if you want visitors to your home to look twice at your wall clock, make sure to look out for some of the more unusual and creative items that we have on offer. 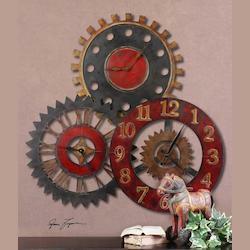 You can really let your imagination run wild as you indulge in a little wall clock online shopping with us. 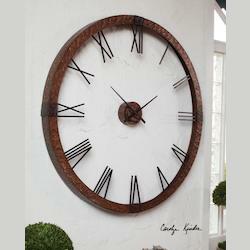 For some people, the sound of their wall clock's chimes are part of the charm for them of having this object in their home. 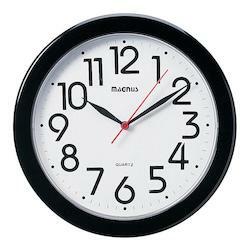 For others, however, it is more of an annoyance or a disturbance. 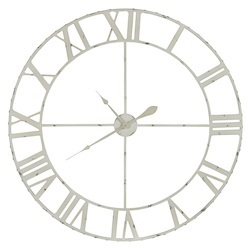 Never fear, however, because we have also got an excellent range of silent wall clocks that will tell you the time without chiming or ticking loudly. 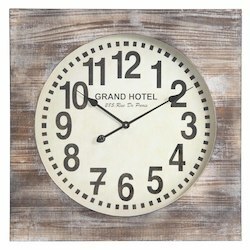 These clocks can be a great option for a bedroom, for example, as they will enable you to have a peaceful night's sleep. 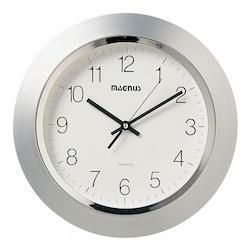 Sometimes, all you want is a functional wall clock for the best price possible. 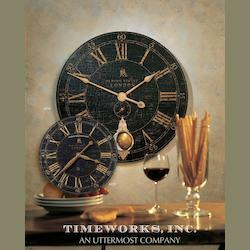 And so, in recognition of this, we have put together an enticing collection of wonderfully cheap wall clocks that will enable you to enjoy the convenience of a huge clock face on your kitchen wall without breaking the bank. 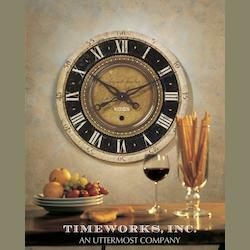 Our cheap clocks come in a superb range of designs and colors, so you will have no trouble selecting one that fits in with the color scheme that you have got in your living space. 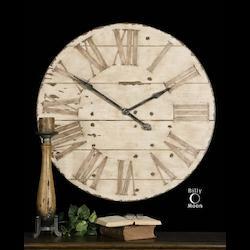 From the nautical to the rustic, and from the contemporary to the budget friendly, we have a wonderfully extensive collection of wall clocks for you to browse. 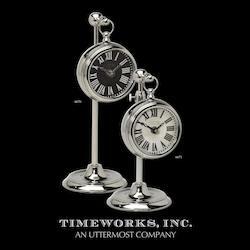 Whether you just want something large and functional, or whether finding something opulent or sourcing an item from a specific designer is your priority, you will be delighted at the selection of clocks available here. 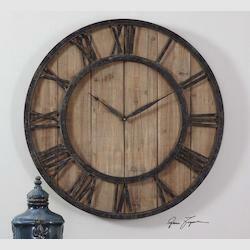 So, why not start browsing clocks for your wall right now? 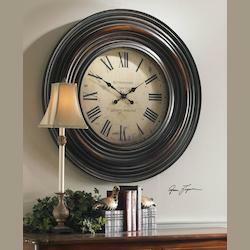 They will really enhance the beauty of your home.